This sleek slab of storage will appeal to anyone who has ever arrived at work only to discover they've forgotten this morning's Keynote presentation. Taking its position next to your home broadband router, the LaCie Internet Space 500GB offers a single, secure access point for your files from any local or remote computer. Unlike a basic USB or FireWire controller, network storage requires a tiny, embedded computer to perform the various tasks, and LaCie has managed to squeeze this into a compact, fanless footprint that's no larger and only slightly more expensive than an external USB disk. This is NAS for the masses; no IP addresses to remember, ports to forward or dynamic DNS servers to configure in order to get the device accessible online. The only brain-power required is used thinking up a unique name for your disk; entering this name into www.homelacie.com lets you access your device's web interface, enabling browsing, downloading and uploading of files via a proxy-friendly http. There's also the ability to zip up batches of files. Unlike predominantly local network storage such as Apple's Time Capsule, this is first and foremost a remote access device. With your home broadband connection as its limiting factor the drive's speed is irrelevant, leaving you to marvel at the sleek web interface while cursing your broadband provider's slow upload rate. 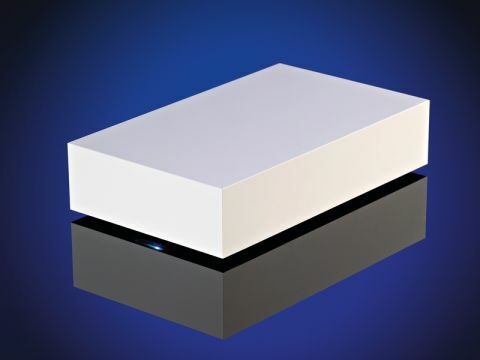 But while LaCie includes support for various local streaming protocols – an iTunes server, for example – the unit's ultra-compact design means the on-board processor struggles to keep up. When transferring large amounts of data or multitasking, the processor forms a bottleneck, causing OS X's copying time estimations to fluctuate wildly as the drive chokes on the data it's fed. In our tests, a 1GB file to the device took 4 minutes 12 seconds to transfer, compared to 2 minutes 8 seconds when copying to another Mac. The Internet Space's gigabit streaming capabilities are therefore slightly misleading – they suggest that it's capable of offering not only an easier experience in a smaller footprint than larger, more traditional NAS devices, but also a similar level of network service performance. In reality, it's too easily overwhelmed to make it a serious choice for local backup or streaming. Where the LaCie Internet Space truly succeeds, though, is in its primary function – to offer an uncomplicated, inexpensive way to share small documents between work and home.